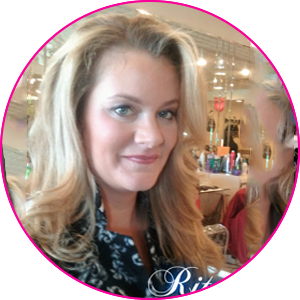 RitaMarie Stylist specializes in highlights, corrective color, and affordable haircuts. Her services are perfect for weddings, bar mitzvahs, and modeling or photo shoots. She always features great specials and even offers a loyalty card that allows you to get every sixth haircut free. If you've been looking for a good hair salon, you need to stop by her New Rochelle, New York, location. Perhaps you're looking for a complete makeover; or maybe you want to keep your long layers and not cut all of your hair off. Whatever the case may be, RitaMarie is here to help. She specializes in bobs and long layers, and will cut your hair and style it in such a way that you can repeat the styling process at home. RitaMarie can make different hairstyles out of a single cut, so you're never bored with your hair. She prides herself on being efficient and typically cuts your hair twice as quickly as other salons. Her prices can't be beat, and she always gives back to her clients, as a way of thanking them for choosing her. For example, if you refer her to another customer, your name is a put on a referral card and you'll receive 20% off your next haircut or hair highlighting service. RitaMarie is able to provide a variety of highlights depending on your particular needs, ranging from a more natural look to foil highlights. She recommends coming in for a free consultation and bringing photos of the look you're trying to achieve, in order to ensure that you are satisfied with the final result. RitaMarie takes her time and lets your hair dry naturally, rather than using a blow dryer, to decrease the chance of damaging your hair with heat and causing breakage. RitaMarie offers blowout services. First, she'll give you an initial consultation, and then she'll wash your hair and apply a conditioner to stop breakage and help with knots. From there, she'll proceed with your blowout, depending on the look you're going for. If you're aiming for volume or straight hair, this service is your best choice; it will leave your hair looking great for one full week. This service is perfect for children and adults alike.